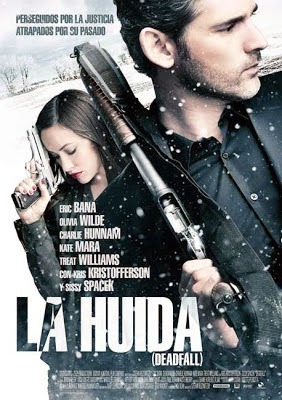 Home / cartelera / "La Huida (Deadfall)"
Reparto: Eric Bana, Olivia Wilde, Charlie Hunnam, Patrick Kerton, Kwasi Songui, Kris Kristofferson, Sissy Spacek, John Robinson, Job Daniel, Jocelyne Zucco, Treat Williams, Jason Cavalier, Maxime Savaria, Kyle Gatehouse, Tom Jackson. Producción: Shelly Clippard, Ben Cosgrove, Gary Levinsohn y Todd Wagner. Productoras: Magnolia Pictures, StudioCanal, 2929 Productions, Mutual Film Company y Madhouse Entertainment.